I love sports. And I believe “Sports Is Life.” Hence, the title of the blog. Sports mimic the ups and downs and highs and lows of life. Just look at what the New Orleans Saints are dealing with this week after the debacle of the missed call on Sunday. Yet, think of the joy for the Rams and Patriots. For me…it’s not football that pulls on my heart-strings. You know what does, don’t you? It’s basketball. Truly, I believe it’s the greatest game that’s ever been invented. I love it because it’s a team sport and it takes tremendous athletes to perform it at a high level. I know that some who read this love baseball or football or some other sport or even activity or pursuit like I love the game of basketball and that’s the way it should be. I believe the Lord loves variety… Think of all the different kind of animals and all the different kind of fruits… Yes, God loves variety! So, for the sake of illustrating my example of basketball…as you read…you think of your favorite sport or activity. When I was a boy I was given a basketball as an infant, literally. There’s a picture of me with a basketball as I’m sitting beside of it (and I was barely able to sit up). 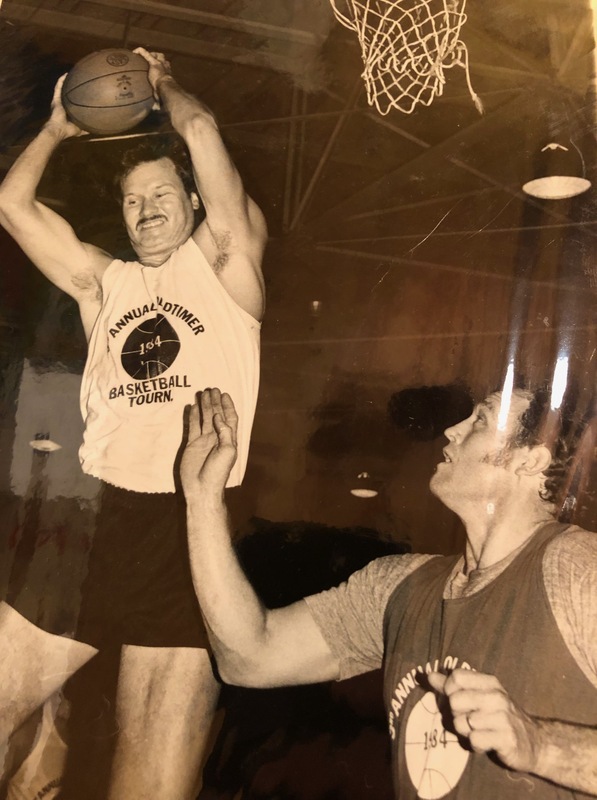 Throughout my life, the sport of basketball has been a part of it. It’s been like a familiar friend. I’m 50 years old and yet there are times I’ll still go out in my driveway and shoot hoops. It doesn’t happen often, but from time to time I’m by myself. (Most of the time, there are plenty of my children or grandchildren to join me.) Yet, every now and again…it’s just me. It might be for only 10-15 minutes…but, it’s just me again. Like a kid. I’m shooting free throws. I’ve got to hit 8 out of 10 to stop. 80% is the minimum. Then it’s “Around the World” and I’m shooting 10 shoots around the perimeter from baseline to the top of the key to the other baseline. I need to hit 6 of 10 on those shots. And then it’s left hand, right hand, alternating under the rim. 10 for 10 on both sides of the basket. Call me crazy…but, this routine relaxes me. I’ve done it since I was 10 years old. 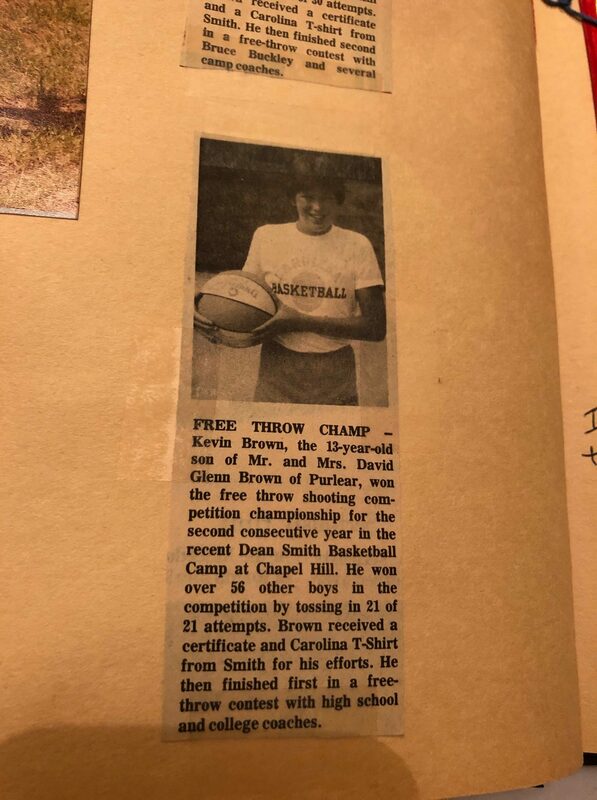 Truly, that was when I could really get the ball to the rim consistently from 15 feet. So, here I am describing you to something that almost seems silly as a I type it. But, it’s the rhythm of life. Get this…I still dream about basketball. I dream about it usually once or twice a month. I could be back in college or high school. I could even be playing for a team I’ve never heard of before. Sometimes I’m dunking it and scoring from every position on the floor… Other times I’m sitting on the bench. Sometimes, I have this dream of not being able to find my jersey and I can’t seem to get out of the locker room. It’s crazy! Where is my jersey and I wake up nervous. No, I don’t try to figure out these dreams, nor do I really care. I just tell you that I love basketball. Yes, some people love golf or fishing or knitting. Some find relaxation in a deer stand. Some enjoy gardening (I like that too). But, for me…give me basketball. I love to watch it. Think about it… Strategize about it… and hypothesize about it. I was 8-years-old and the pencil is pointing to me. I loved that little team. 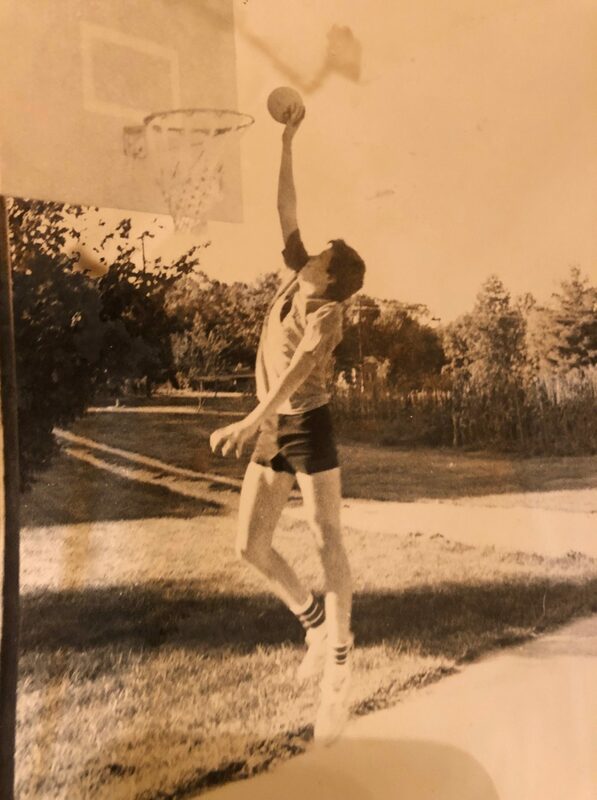 I changed from my school clothes to my basketball uniform in the back of my mom’s 1966 Ford Mustang many, many times on the way to the YMCA. 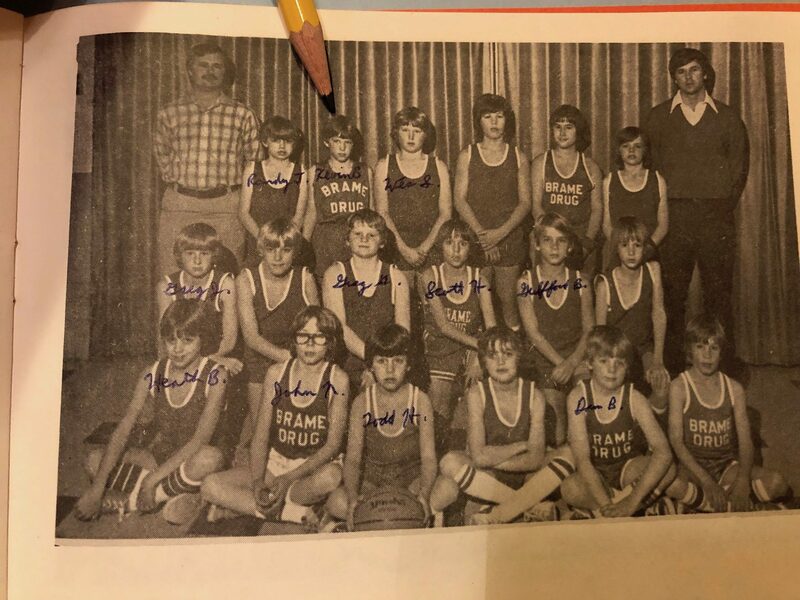 My dad ended up coaching our team three years later. He’s on the back row, far left. I’m in the middle in the back, to the right of the tall young man. 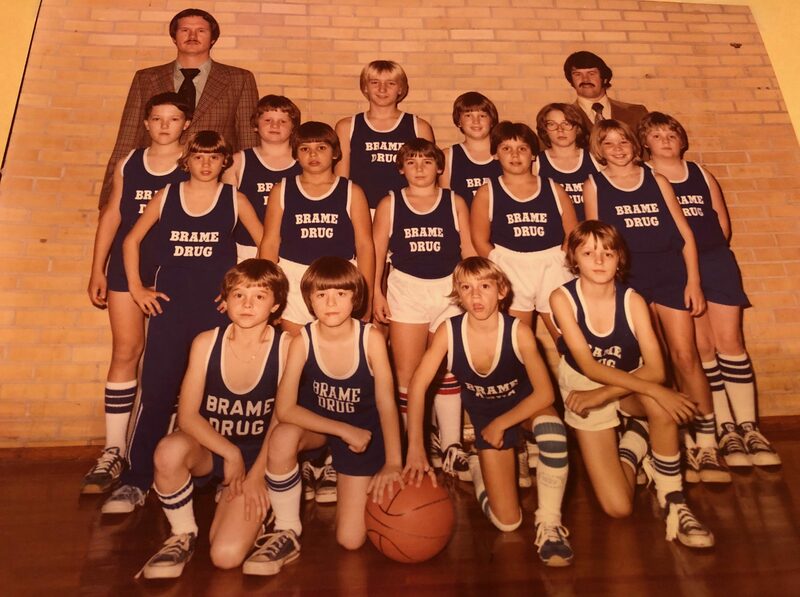 By the way…the young man on the front row on the far left is Zach Galifianakis. He was a jokester even back then! I’ve never seen one of his movies and don’t plan on it. I know he’s a funny guy, but I wish he wasn’t so vulgar. I believe the funniest people are those who are funny without being vulgar. 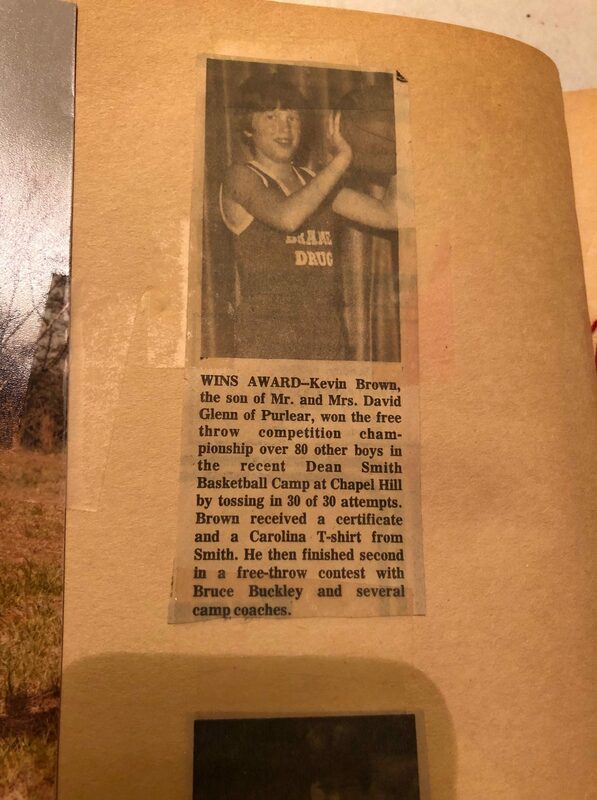 Here I am in my Brame Drug uniform when I went to the University of North Carolina Basketball camp and won the free throw shooting contest for my age. I, again, was able to eat with Coach Smith and this time I was able to actually finish my dinner. I played in Elementary School at Millers Creek Elementary and I wore my Dad’s college number (42). 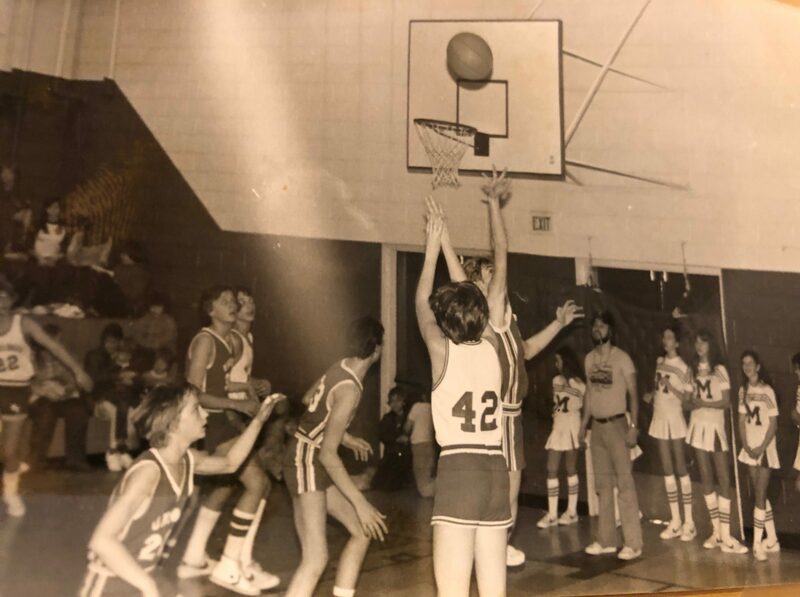 This game was played in old Union Elementary School gym, which is now the sanctuary for Celebration Baptist Church. By the way, my sister is under the backboard as a Millers Creek Cheerleader. She’s in the middle of the three young ladies behind the referee. Yes, that’s the referee in the t-shirt and jeans! Back in the day…that’s what we saw a lot. No stripped, zebra shirts and black shoes for us! He was 36 years old at the time. 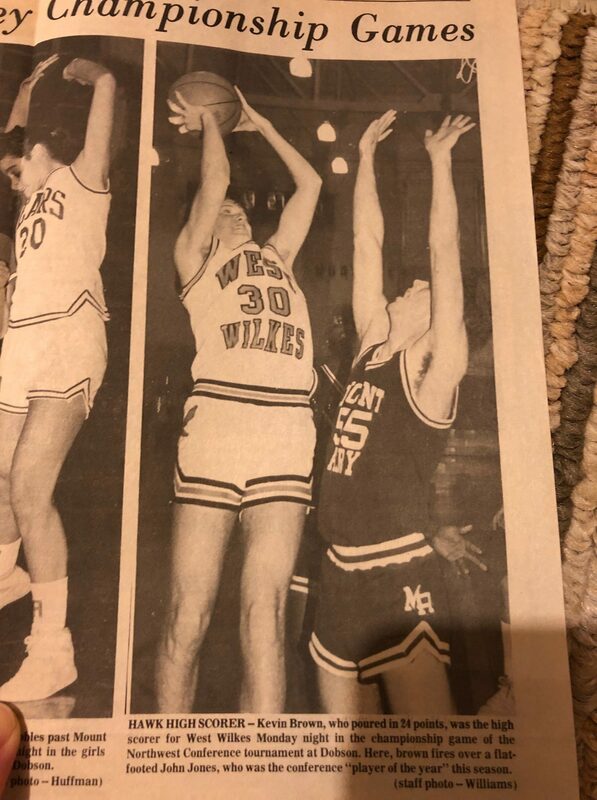 Dad hit the winning shot with one second left to beat North Wilkes. It was truly a Grant Hill to Christian Laettner pass and score before that even happened. 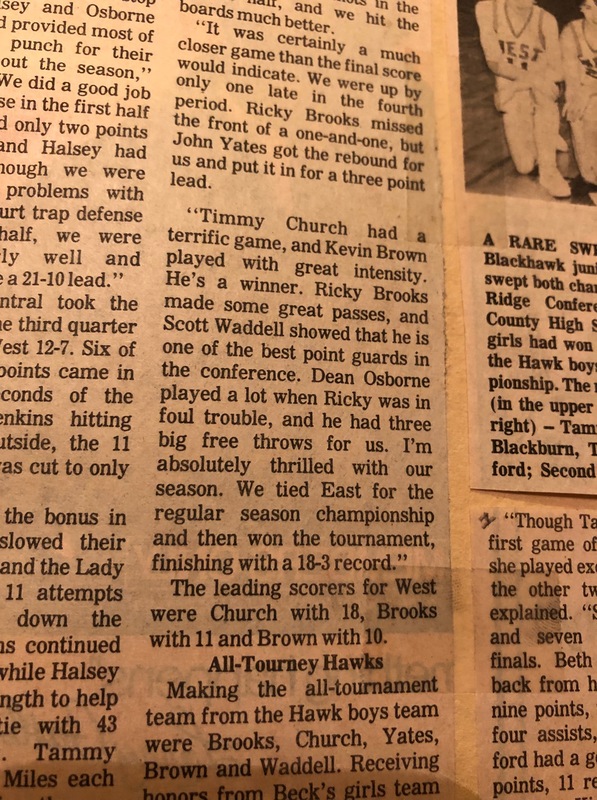 My dad received the full court in-bounds pass and he went up over Danny Joe Pendry (a fabulous player in the day for North Wilkes) and nailed the shot! I was 16 at the time and boy was I proud of my dad! Basketball has been such a huge part of my family. 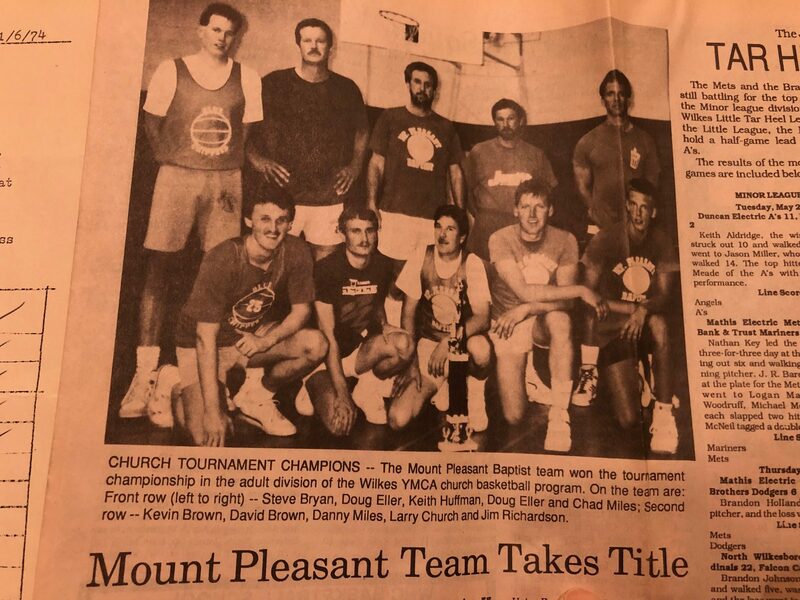 And I’m blessed in that my dad and I were able to play together on our church league team. Here we are side by side back when our team took the title. Not bragging…but, I think you could say that without Dad and me, we would have struggled to win. We accounted for 65% of our offense. Of course it helps to be 6’6″ and 6’7″ (dad). That was through 13 games… So doing the math…that’s right at 24 points a game. 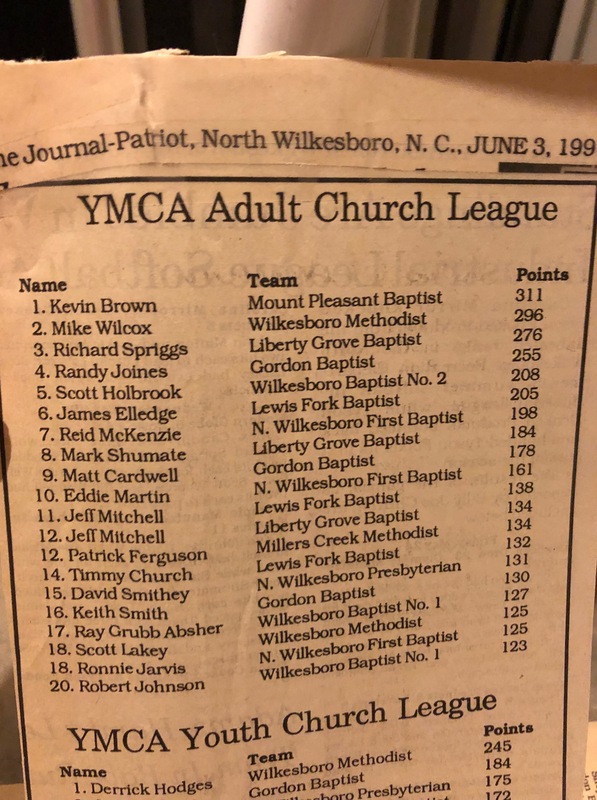 We had a great team and really dominated the YMCA Church League for many years. I can’t describe to you what these shared experiences with my father means to me. I’ll never forget them. I’ll never forget my dad taking me to Chicago to see Michael Jordan play in the old (now torn down) Chicago Stadium. 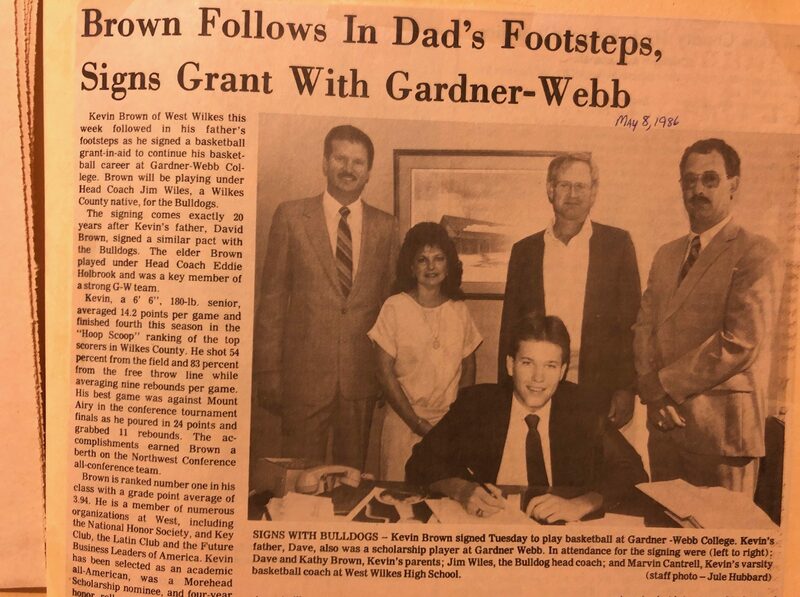 I’ll never forget riding down the elevator in our hotel with Patrick Ewing and Ewing asking us, “Do you guys play basketball?” It was surreal and such a blessing to have that time with my dad. That was by goal at my house growing up. My sister Kim took this picture. I was learning to dunk and obviously, you have to start with something…and in this case…it was a partially deflated volleyball. If you look at the net closely…you’ll see how frayed it is. I wore out a net about every six months. 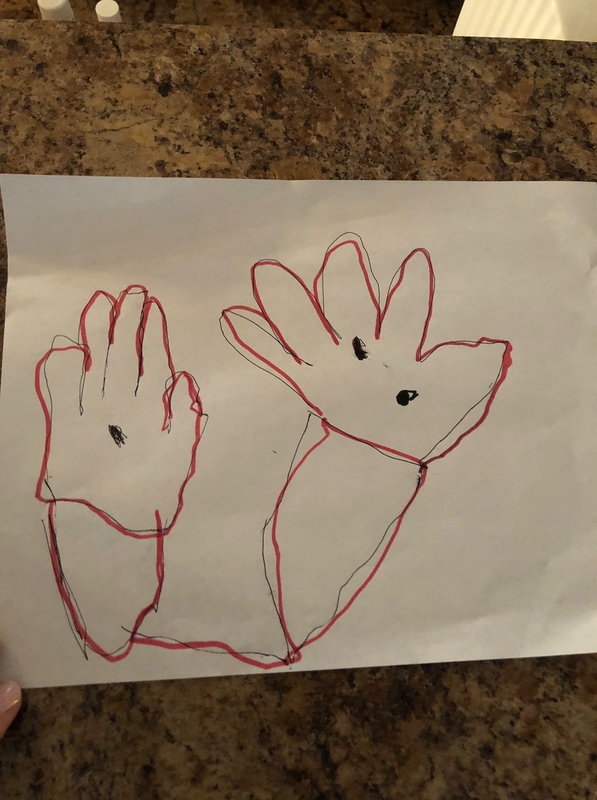 I played in the winter with gloves on and the fingers cut out so I could feel the ball. I shoveled the snow off of the driveway many times. I played in the rain, in the heat, in any conditions. Why? Because I loved the game. I loved the way it was such a challenge to get better and improve on my own and then couple that with my teammates to do something special. 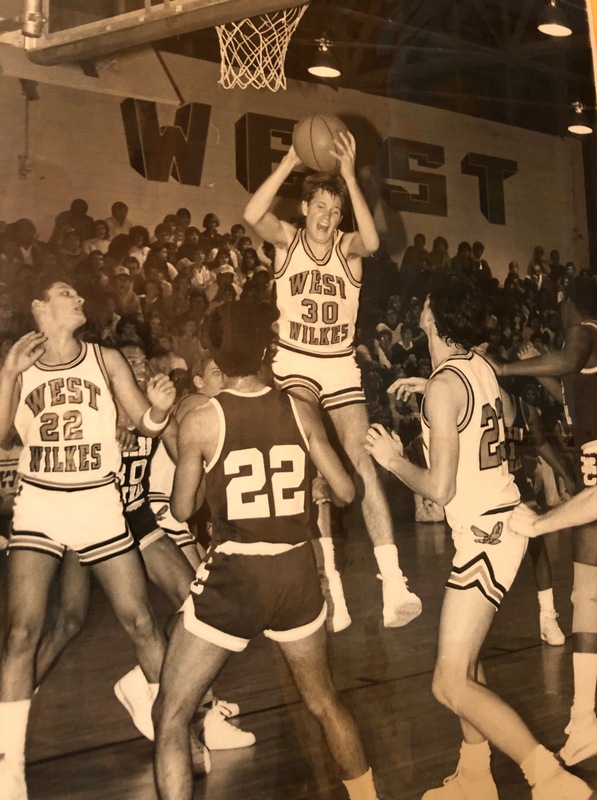 I played in High School of course (West Wilkes). Junior Varsity (JV) to begin with…and then Varsity. 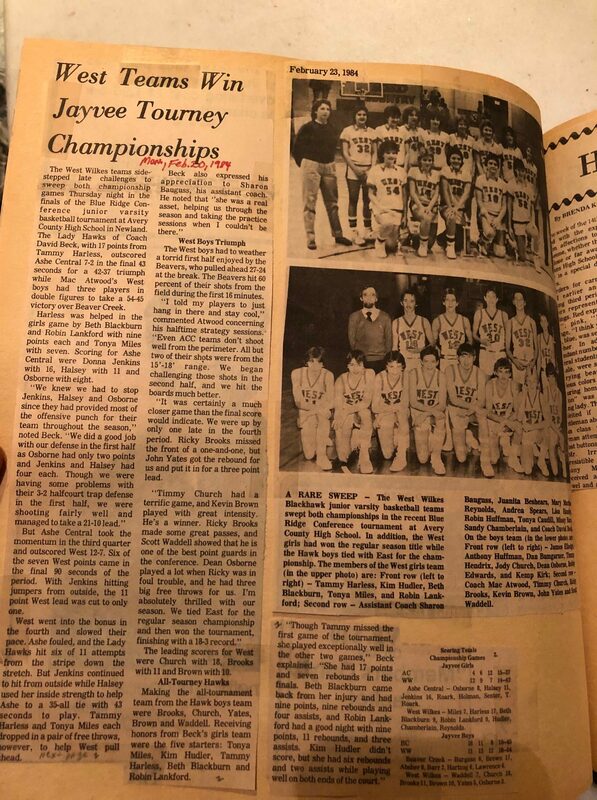 Our JV team was really good. We were conference champions. Folks, as I read that I got a lump in my throat. It’s been 34 years since I cracked open that scrapbook and read those words and I thought, “Wow…even then the Lord had given me a passion and fire.” And I’ll tell you…I try to take this same attitude into living the Christian life. I am playing for the greatest Head Coach of all time…Jesus Christ! How can I not play the game of life with all I have? Sports is Life and Life is Sports. They go hand-in-hand. How are you playing the game of life? Go for it! Live it with intensity, because as a believer in Christ…we are the ultimate WINNERS! I worked hard on my game. My dad made me a weight bench and I lifted weights. He built a squat rack and I got to where I could do three sets of 30 with 300 lbs on my back. I got to where I could really jump. I could dunk the ball just about any way I wanted to! It was hard, challenging and difficult to get to that place…but, I was intent on being the absolute best I could be. I scored 24 points, and yet we came up just short. Funny how you don’t forget those things. I replay them in my mind from time to time. What could we have done better. Silly? Perhaps…but, when it’s in your blood…you can’t help it. 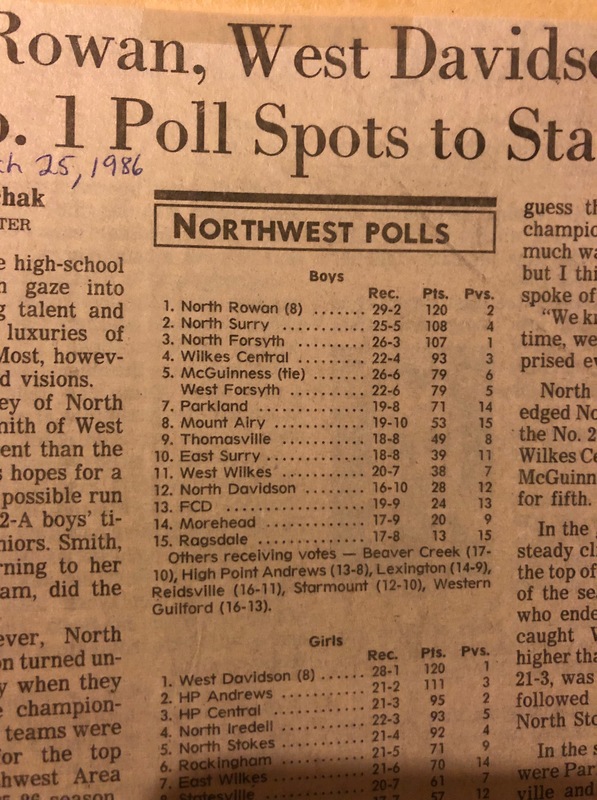 We made it all the way up to #11 in the western NC State High School polls. You’ll see Wilkes Central at #4. I told you they were good! One of their 4 losses was to us. 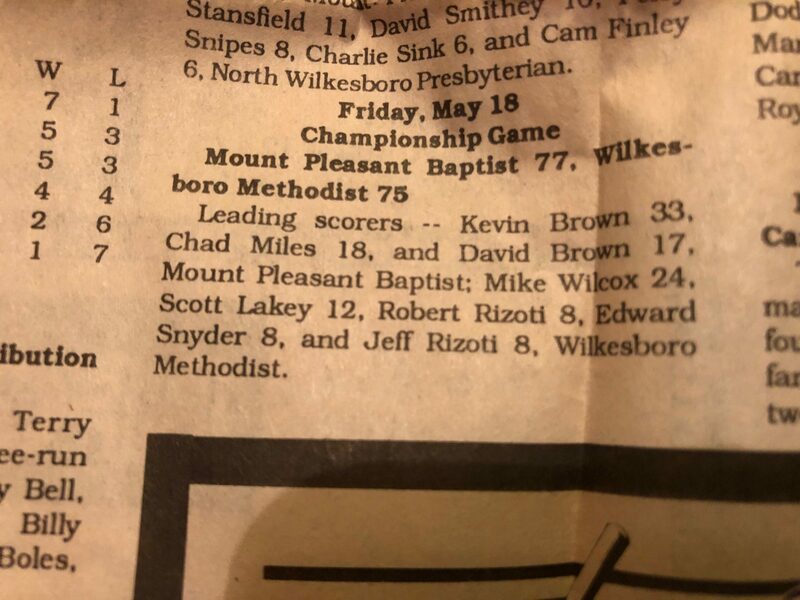 Arguably, our team was one of the best basketball teams in the history of West Wilkes High School. Again, my dad played there and so I decided to play there too. Note, the fact that I said, “I decided to play there too.” Accentuate the word “I.” I didn’t seek the Lord on it. I just did it. I don’t believe the Lord was really in it to begin with, to be blunt. You see, I wanted to play basketball and maybe coach and teach High School Biology. But, the Lord had a different plan all along. He wanted me to get a business degree and work in the business world for 16+ years, which would be training for the pastorate, eventually. Well, I had to learn the hard way. You know…when a team doesn’t listen and they have to run laps. I’m grateful the Lord was gracious with me. He led me to Appalachian State and eventually my wife. But, honestly, even then, I was still trying to play basketball. I tried out as a walk-on for the ASU team and actually made the team…for three days. That’s right. I made the team on a Friday and the coach called me into his office and cut me on Monday. He said, “Son, you’re good, but not good enough to make our 8-man rotation and we don’t need any dead weight.” Let me tell you…I cried like a baby after I walked out of his office. But, Sports Is Life. Sometimes we go through really difficult seasons and we just have to keep moving. And it’s why I show her a video of herself nailing a three pointer! Want to see it? Here it is. 11 seconds of joy! 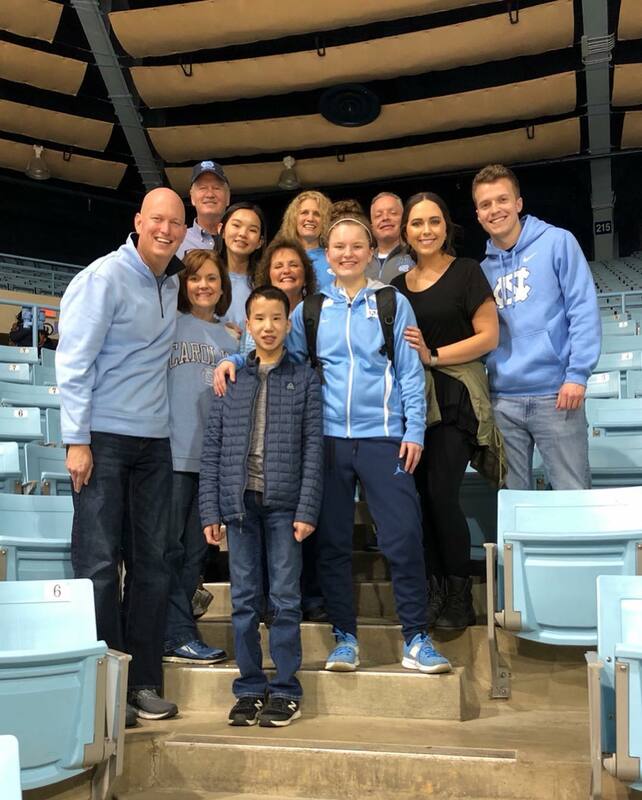 The entire family will be going down to Chapel Hill this weekend to watch Leah and the Heels play the #1 Team in the country, Notre Dame. I can’t wait! Even Josh, Katy, Charlotte and Evie will be able to see Leah play “live” for the first time!! Go Leah! 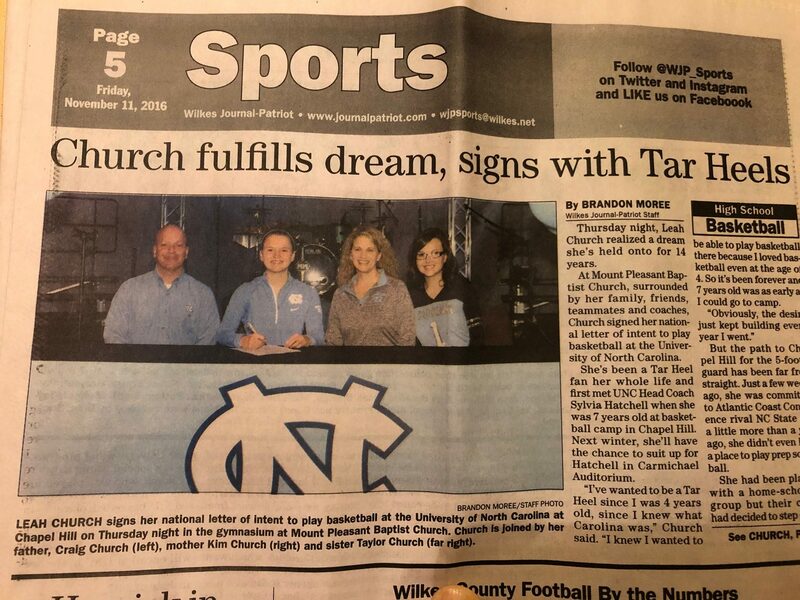 Go Heels! 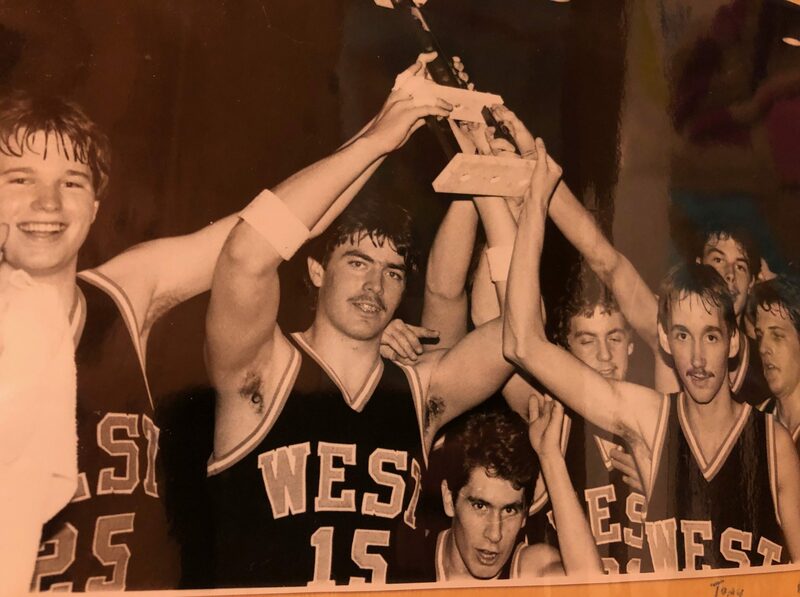 Yes, I’m old and a bit nostalgic and perhaps even silly…but, it’s true…I love basketball…even though I can’t play much of it anymore other than “Horse.” But, Life Is Sports and Sports Is Life. Think about any sport or any activity you do for fun. If you are going to be good at it, you have to work at it. I see that in my daughters Katy and Kandace who are musicians and writer/songwriters. And Clara who is a ballet dancer and plays the violin with tremendous skill. Or Andrew who builds gravity cars using a CAD computer and 3D printer. I see that in my wife who is a fantastic mom, homeschool teacher and pastor’s wife. What about you? What brings you joy and teaches you at the same time? 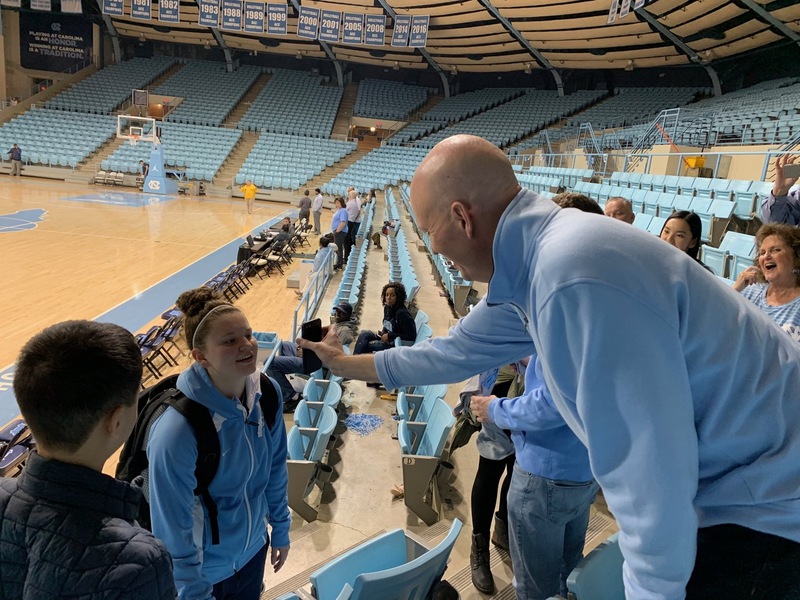 For me…it’s basketball and I’m grateful for it! Thanks for taking this walk down memory lane with me!